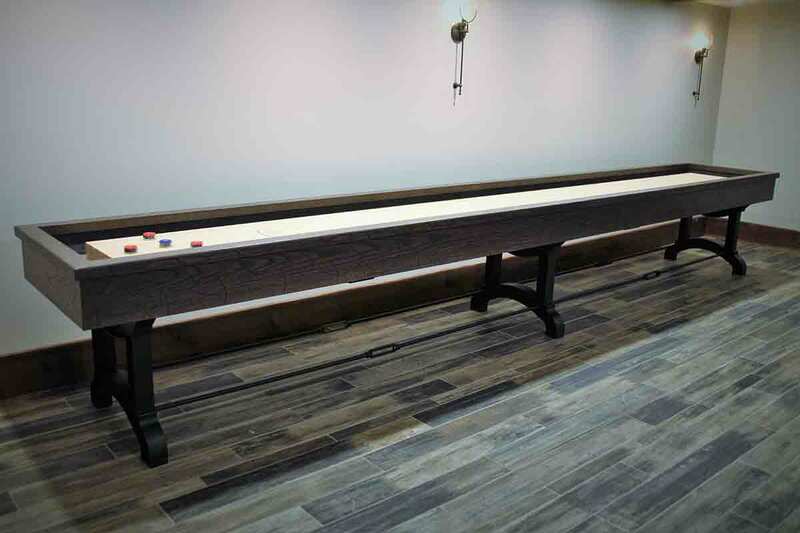 The Richmond shuffleboard table using White Oak and Forged steel base. The Richmod Shuffleboard table is handcrafted with rich white oak wood and treated with rustic finish and distressed look. The beautiful color contrast and industrial lines give the Richmond a striking and bold presence. The RIchmond also features a 20" wide and 3" thick playing surface that is made from the high-quality North American hard maple. The playing surface is sealed with a specially formulated finish that has a lifetime warranty. The Richmond Shuffleboard table comes with 8 shuffleboard pucks and 1 can of wax. 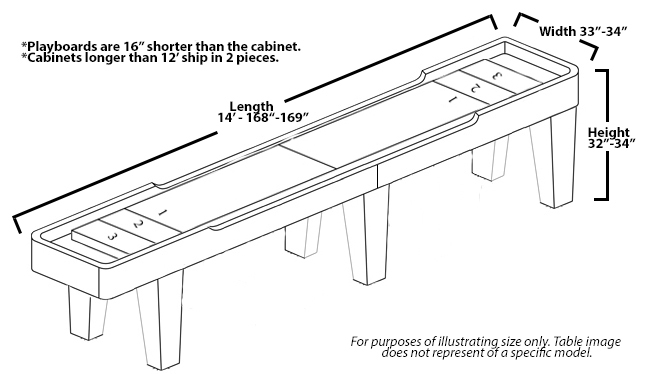 There are also several additional features you may purchase for your Galt shuffleboard table during the checkout process, including dining tops, electronic scoreboards, and table covers.